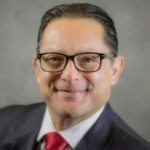 The Eagle County Board of Education on Wednesday sent out a letter announcing it has unanimously chosen Dr. Carlos Ramirez as our next superintendent of the Eagle County School District. Ramirez replaces Dr. Jason Glass, who left last year to become superintendent of Jefferson County Public School on Colorado’s Front Range. After a unanimous vote last evening, the Board of Education is pleased to announce the selection of Dr. Carlos Ramirez as our next Superintendent. We are grateful to the community members who participated in the selection process activities earlier this week, which provided the Board with valuable insights and perspectives on our two outstanding finalists. The next steps will be to undertake contract negotiations and finalize the transition details. Dr. Ramirez intends to visit Eagle County again in the coming weeks to get to know the staff, schools, and community. Ramirez lives in Denton, Texas, and is currently School Support Officer (Assistant Superintendent) for the Houston Independent School District. During his 26 years in education, he has served as a classroom teacher; an elementary, middle school and high school campus administrator; and as a senior-level administrator in California and Texas. In his current role, he oversees more than 17,000 students in 21 schools, including International Baccalaureate programs, Spanish-immersion programs, charter schools, early-childhood centers and magnet schools. Ramirez earned his Bachelor of Arts in sociology from the University of California, Davis, a Master’s degree in human resources from Chapman College and his doctorate in educational administration from the University of North Texas. His experience also includes work as an adjunct professor at St. Thomas University in Houston. Ramirez has served on multiple boards and in community-based organizations, including Communities in Schools and Serve Denton. Ramirez is a first-generation Mexican-American and a fluent Spanish speaker. He has been married to his wife, Melissa, a middle school teacher and national best-selling author, for 27 years. Together, they have five children: Alex, 25, Sam, 23, Jared, 20, Sophia, 17, and Caleb, 15. Ramirez loves fishing, backpacking and his two dogs, a boxer, Jazz, and a pug, Bean, as well as Pablo, the family cat.